Dwight L Moody (1837-1899) was an Evangelical preacher who launched a Christian revival in America and in England. His trusty sidekick, Ira Sankey, wrote effusive Victorian Hymns that when collected into a book proved to be the best selling hymnal of the 19th Century. D L Moody was an honest and industrious boy from a village in New England who moved to the big city to seek his fortune and fame as a merchant. God had other plans for him. 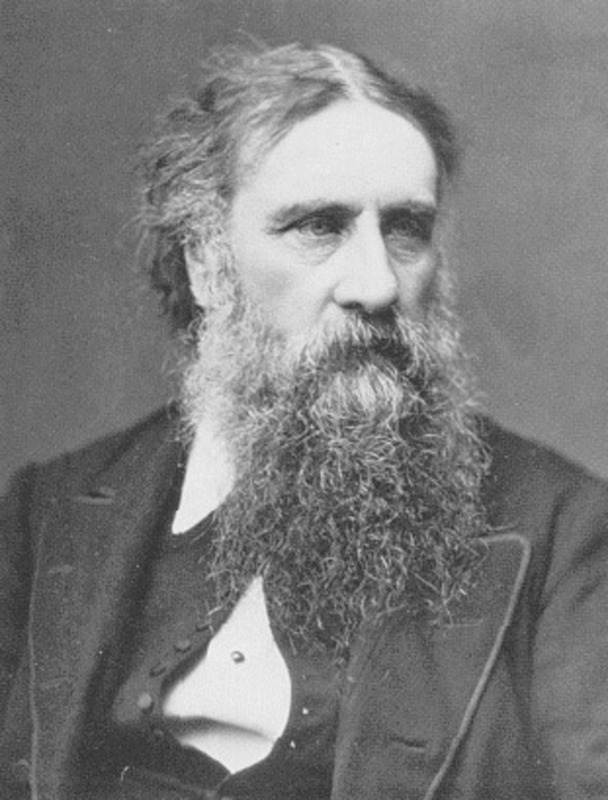 He was transformed from an unknown Sunday School teacher in 1856 into a spiritual giant by the time of his death. Dwight L Moody looked like a businessman. He brought middle class respectability to American revivalism. Moody was not theatrical or sensational. His message was "living truths for head and heart, illustrated by . . . thrilling anecdotes and incidents, personal experiences, touching home stories, and stories of tender pathos." He stressed the Love of God for us—and the need for us to love Him. Dwight L Moody was one of the first fundamentalists. He believed in personal holiness, Christian ethics, and that the Bible was the infallible Word of God. Moody followed the Holiness Movement and taught that what people needed was an infilling of the Holy Spirit to empower their Walk with the Lord. D L Moody helped establish the YMCA in his adopted city of Chicago. He preached on the streets for a few years. In 1862, during the Civil War, Moody ministered to the 100,000 wounded soldiers of the horrific Battle of Shiloh. He said: "We must not let a man die . 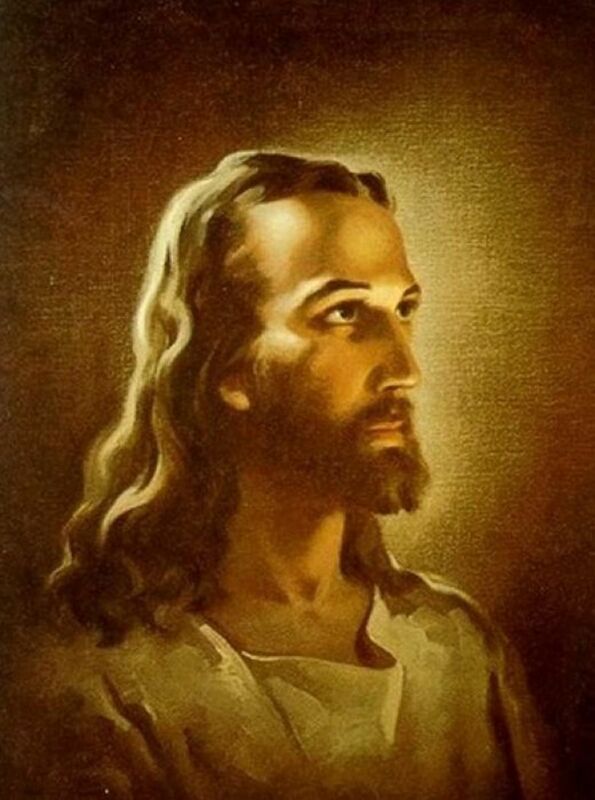 . . without telling him of Christ and Heaven." 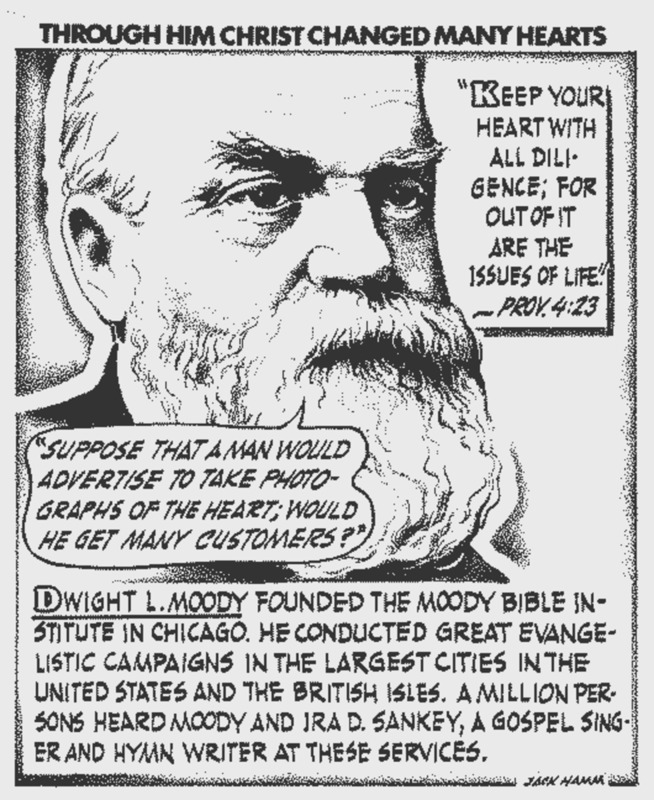 By 1871, Dwight L Moody was well-known as the evangelical leader of Chicago, though only 34 years old. On Sunday nights he had preached at the three-thousand-seat Farwell Hall, which he had built for the Chicago YMCA a few years earlier when he was President of that organization. Outgrowing that venue, Moody founded the Illinois Street Church—The Moody Church today. 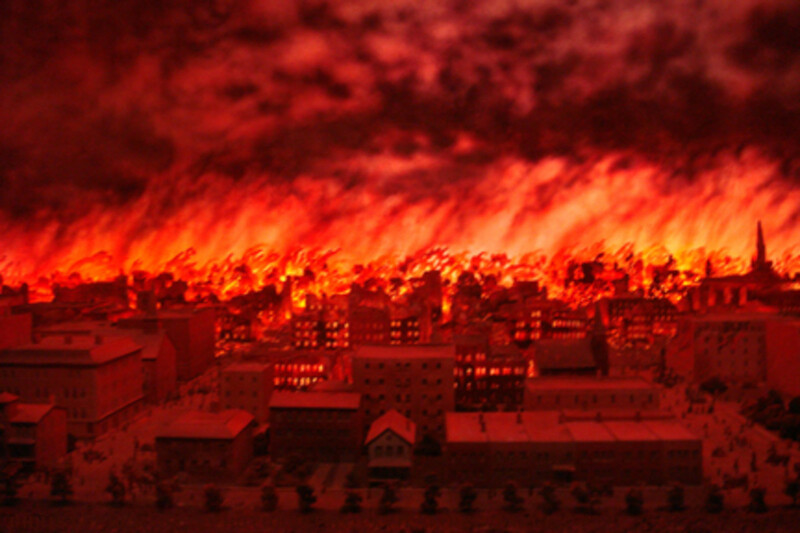 The Great Chicago Fire of 1871 destroyed Farwell Hall, the Illinois Street Church, and Moody's home. All he had left was his Bible. Until that event, D L Moody had been torn between staying in Chicago and going on the road to evangelize wherever the Lord might lead him. The fire turned everything that kept him in Chicago to ashes. He went on the travel over a million miles as the greatest evangelist in the world as the 19th Century came to a close. Moody would eventually share the Gospel with more than a hundred million people. 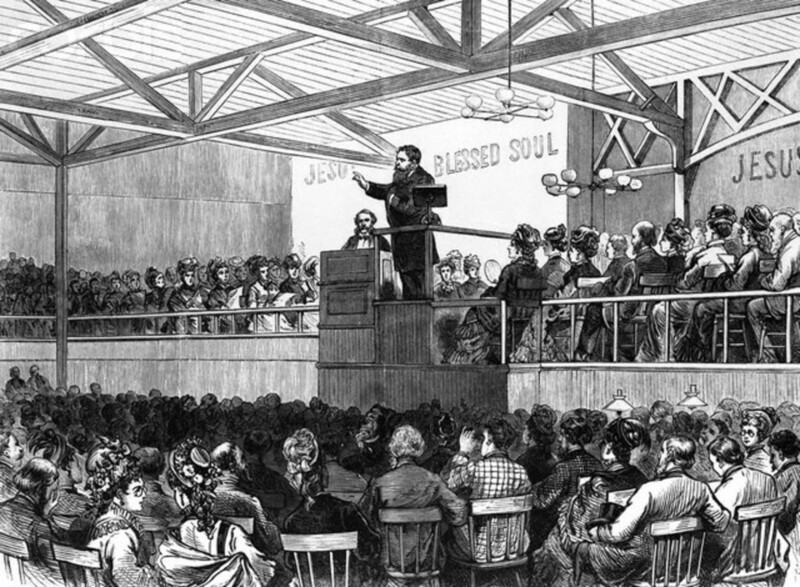 In 1873 and 1874, Dwight L Moody preached throughout England. The 2.5 million people who came to see him preach represent the greatest British revival since the days of John Wesley. 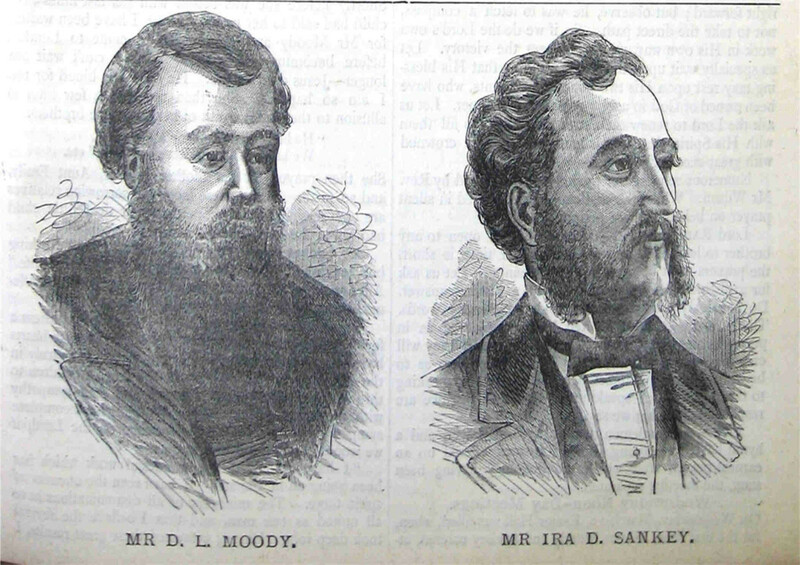 Moody would also launch great revivals in Scotland, Ireland, and Canada. After returning to the United States, D L Moody started a non-denominational Sunday School for poor children. He always sought cordial relations with all denominations. In 1879, Moody founded a school for girls in Northfield, Massachusetts. In 1886, Dwight L Moody founded a Christian college that he called the Chicago Evangelization Society for the "education and training of Christian workers, including teachers, ministers, missionaries and musicians who may completely and effectively proclaim the gospel of Jesus Christ." 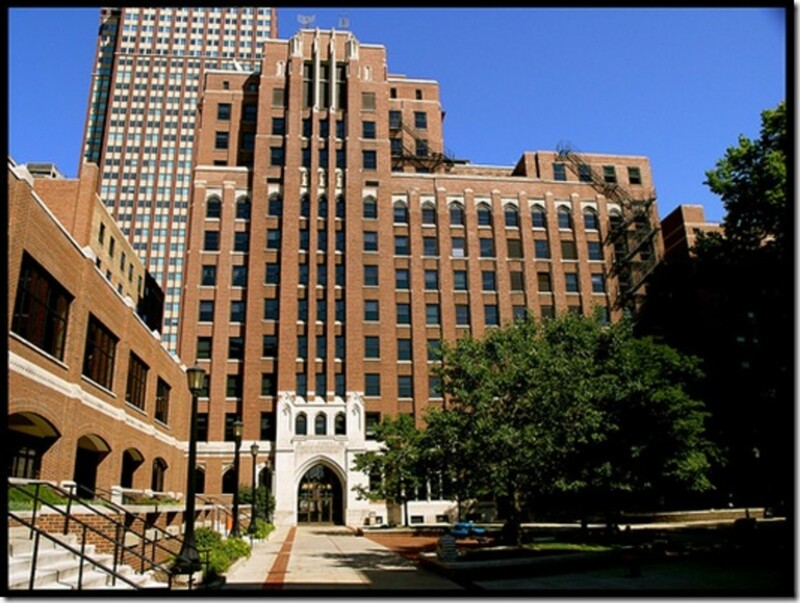 It was renamed after Moody's death and is thriving today as the Moody Bible Institute—sometimes called Moody Bible College. 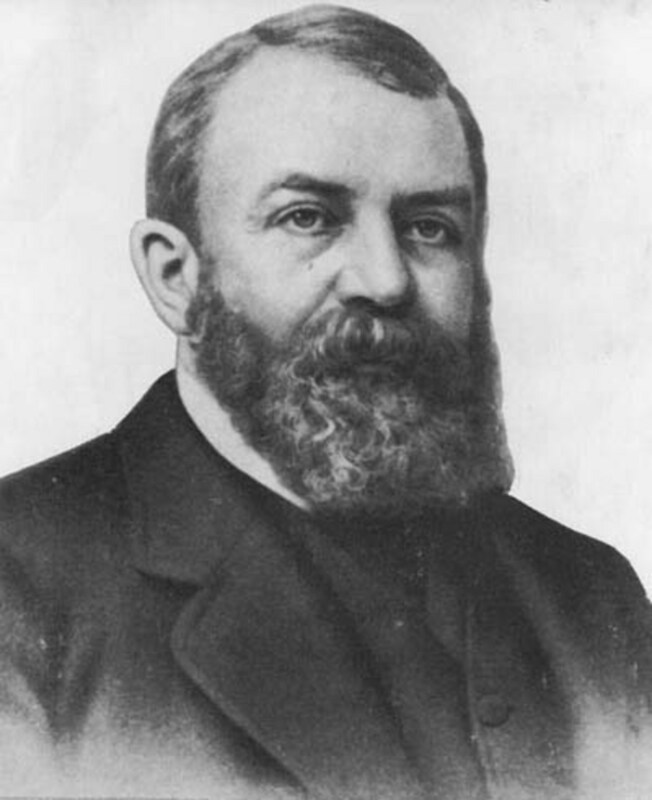 The son of D L Moody, William, took over leadership of the Moody Bible Institute after his father passed away. William Moody was a serious, formal, conservative man. Under his guidance, the Moody Bible Institute became the premier Bible institute in America, with 1,000 students enrolled by the 1920s. Today it has 1,400 full time students and 18,000 in distance training. Moody Bible Institute has trained more missionaries that any school in the world. 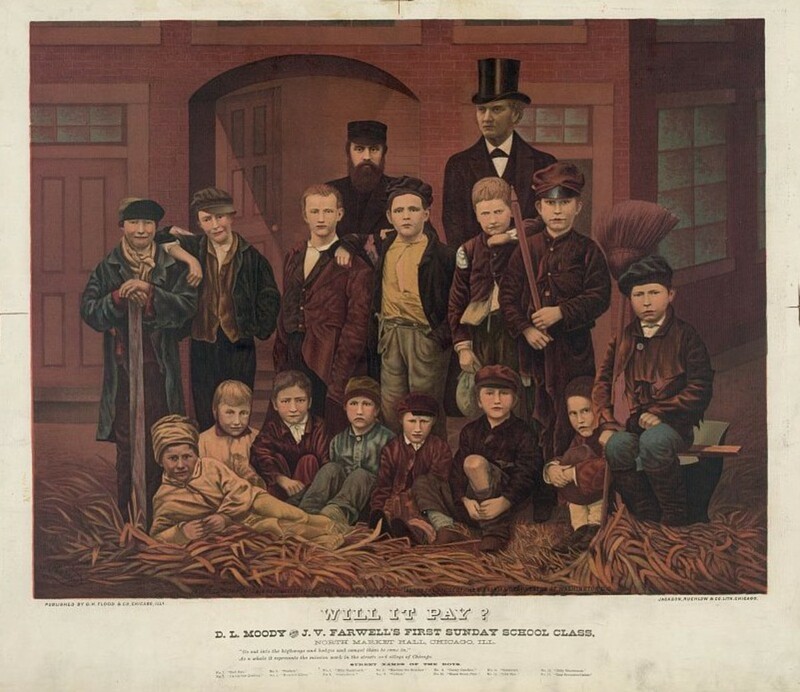 D L Moody believed strongly that charity and evangelism naturally go together: "I go to a poor sinner with the Bible in one hand and a loaf of bread in the other." The most compassionate care for the needy should foremost to care about their soul. Coming to Christ inevitably led to moral uplift; to taking personal responsibility for oneself and one's family; to stability in the home that is the key to resolve a multitude of social pathologies—including poverty. "Seek ye first the Kingdom of God, and His righteousness; and all these things [material sustenance] shall be given to you." Dwight L Moody delivered a simple and positive message in his sermons based on the three R's: "Ruin by sin, Redemption by Christ, Regeneration by the Holy Ghost." Moody did not preach on God's wrath or about fire and brimstone. 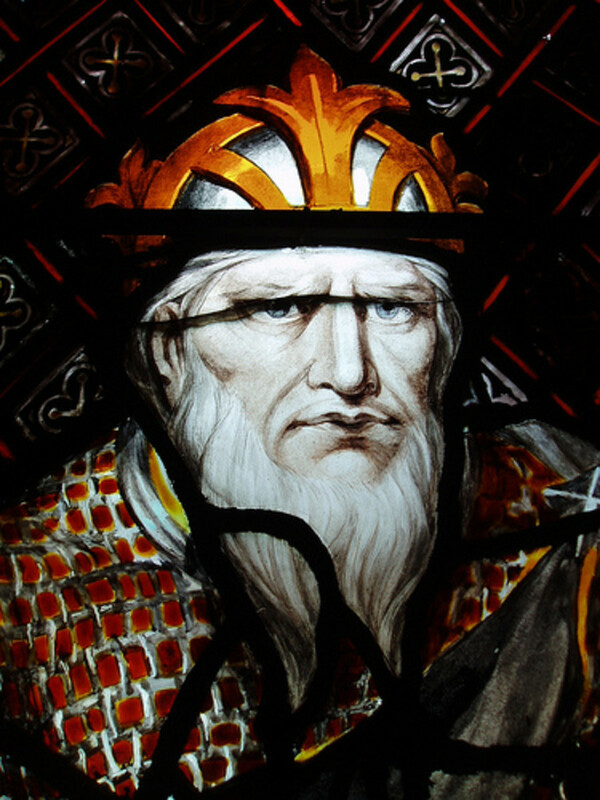 He believed that "Terror never brought a man in yet." He did denounce evolution, atheism, the theatre, drunkenness, selling liquor, Sunday newspapers, and disregard of the Sabbath. He preached against greed, avarice, jealousy, envy, and selfishness. He also warned about "pandering the lusts of the body," "telling vile stories," and "loving worldly pleasures and amusements." D L Moody focused on personal sins: "Whatever the sin is, make up your mind that will gain victory over it." The Christian community was there to set a good example and encourage others but ultimately it was up to the individual to accept Christ and conquer sin. The sinner stands alone before God. Sin causes personal, familial, and societal distress. It can be relieved by passionate surrender to the incredible love of Jesus. Dwight L Moody, unlike most evangelicals who thought the world would get better and better as time marches on, believed the world would "grow worse and worse." He said: "I look upon this world as a wrecked vessel. God has given me a lifeboat and said to me, 'Moody, save all you can.'" D L Moody avoided controversy and divisiveness like the plague. He said: "Christ's teaching was always constructive . . . His method of dealing with error was largely to ignore it, letting it melt away in the warm glow of the full intensity of truth expressed in love." His heir apparent, Rueben Torrey saw it differently: "Christ and his immediate disciples immediately attacked, exposed and denounced error. We are constantly told in our day that we ought not to attack error but to simply teach the truth. 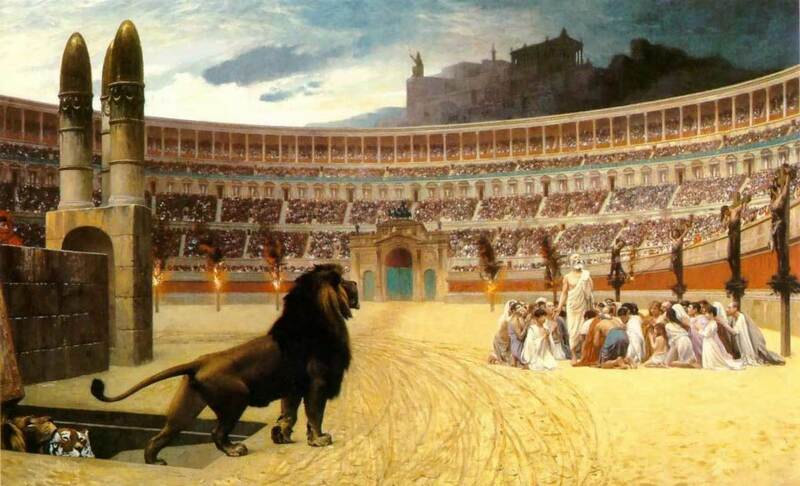 This is the method of the coward and trimmer; it was not the method of Christ." 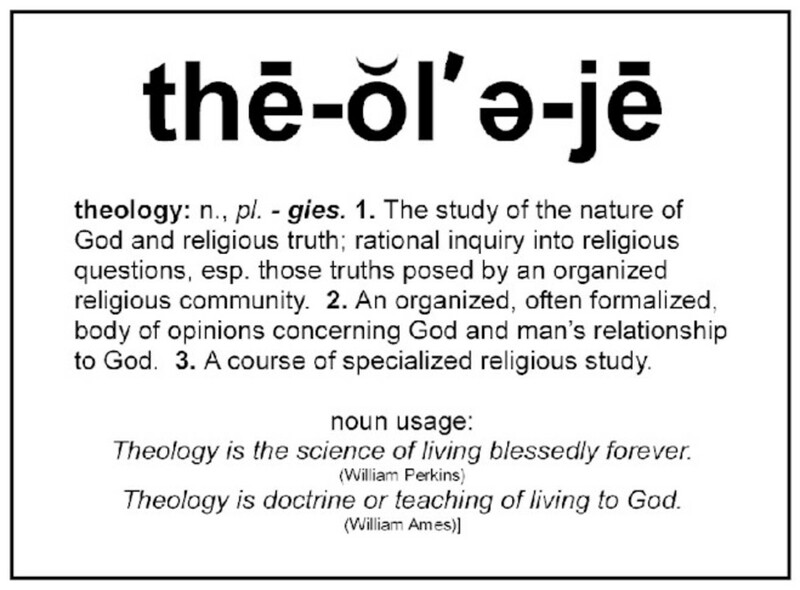 Torrey also rejected the notion that the Bible needed theologians to explain its truths: "In ninety-nine out of a hundred cases, the meaning that the plain man gets out of the Bible is the correct one." Dwight L Moody saw Jesus face to face December 26, 1899. Moody had founded the Mount Hermon School for Boys, and it was fitting that 32 of those boys carried his casket to its final resting place. At the funeral, his son remarked that his father's face looked peaceful, reflecting the deep satisfaction the Christian experiences after leaving the streams of earth for the oceans of heaven. It was a cloudy day but just as the service drew to a close a shaft of sunlight appeared in back of the church. The beam moved through the church, coming to rest on the face of D L Moody. His face seemed to illuminate with pure, joyful radiance. His son wrote: "The sunshine touched no other object; the face only was illumined and then . . . the sun set behind the distant hill." My sources for this article include: The One Year Book of Christian History by E. Michael and Sharon Rusten; A History of Christianity by Paul Johnson; and Fundamentalism and American Culture by George Marsden. Peg Cole ~ I must apologize for not responding to your comment sooner. It seems I missed the notification. Thank you for reading my piece - twice. And you are most welcome. Nice piece on D.L. Moody. I enjoyed reading this one again. This man was strong in his teachings and his faith. Thanks for this interesting biography. frogyfish--- Thank you very much for taking the time to come over and read my Hub on DL Moody. I go to the wonderful Moody Church. I so enjoyed your wonderfully gracious and thoughtful and insightful comments. I am well pleased that you enjoyed this article. Your kind words brought a big smile to my face. And I appreciate it. Have been acquainted with Mr. Moody and Mr. Sankey for most of my life, but never knew Moody's 'history' as you delightfully presented here. An interesting reciting of the great value of a dedicated gentleman, and an encouraging potrayal of a determined 'preacher'. Well done, very interesting and sublimed with that last 'illumination' description. Spirit Whisperer— Based on many accounts of his life, I have no doubt whatsoever that the convictions in the heart of D L Moody were absolutely real. This is a man who, by all accounts, had a real talent for business and in America this was the path to earthly riches. Moody eschewed this path to serve the Lord. Of course, Friedrich Nietzsche would posit that D L Moody was simply feeding his ego I suppose. Thank you for your remarks. And you are surely welcome. I sometimes wonder if men such as D L Moody are truly great or simply men with very big egos. Alexander The Great conquered the world by the sword D L Moody's weapon of choice was the bible. This is however a testament to what anyone can achieve with perseverance, faith and single minded focus. Thank you James once again for an excellent read. jloeding— Thank you for reading my article. I am well pleased that you appreciated it. I am sorry that you lost your husband. Interesting to hear the connection of his family with the Moody Bible Institute. As you said perfectly well, D L Moody "was truly a man of God who had a passion for the unsaved." I have heard much about D L. Moody's ministry, but had not heard much of his history. My late husband's family was very much impacted for Christ through Moody Bible Institute. Three of his sisters graduated from there. He was truly a man of God who had a passion for the unsaved. You wrote a very inspiring article. God Bless you for sharing. feenix— Hello! You are quite welcome. I am well pleased that you found this piece to be inspiring, educational, and important. I am grateful for your warm words. Thank you for visiting and commenting. DeBorrah K. Ogans— What a joy it is to once again hear from my favorite Hubber! God Bless You Dear! Thank you so much for your gracious accolades. They mean more to me coming from you than from anyone else I know. I appreciate to no end your blessings, affirmation, and encouragement. These are no mere platitudes. These are expressions from my very soul to you for your lovely remarks. Of course, I totally and wholeheartedly agree with the words you quoted by the wonderful Man of God: D L Moody. I cannot in any way measure up. But I think you come close, my dear Sister in Christ. God Bless You! Thank you very much for writing and publishing this very important and educational article. For me, this post is quite inspirational because Reverend Moody's model is certainly one that I want to follow. James A Watkins, This is a wonderfully composed biography of D L Moody! I appreciate your continued efforts to provide us with well researched, informative, concise life enlightening commentary! I embrace this insightful statement: “He believed in personal holiness, Christian ethics, and that the Bible was the infallible Word of God. Moody followed the Holiness Movement and taught that what people needed was an infilling of the Holy Spirit to empower their Walk with the Lord. : “:” AMEN! This remains as one of the foundational principles to Christianity! As D L Moody says “GOD is CALLING...” We must get better at listening! Thank You James you have done a marvelous job showcasing the wonderful attributes of this committed man of God He truly made a difference! Thank you as always for sharing, God Bless you Professor! In HIS Love, Grace, Joy, Peace & Blessings! Thank you for reading my Hub. I very much appreciate your gracious compliments. Never knew that Moody founded the YMCA. Terrific story and thanks for the share. I'll go to be wiser tonight thanks (again) to reading one of your hubs. Sounds like we need more people like Moody in the world today. Great history lesson of a great man who did a lot and helped a lot. Great work again Mr.James. I always learn something new with your hubs. jean2011— Welcome to the HubPages Community! Thank you for such a well researched and written hub about one of my heroes of the faith - D.L. Moody. I have voted you hub awesome! Wayne Brown— Thank you, WB, for taking the time to read this article. I appreciate your comments and I agree with you in all you wrote. I am grateful for your affirmation and encouragement, brother. wba108@yahoo.com— Fascinating story about your grandfather starting camp meetings. I believe I have also heard about Moody having supernatural visitations. It is good to "see" you here. Thank you for the interesting remarks. Tamarajo— You are quite welcome. Thank you so much for coming by to read my article. I appreciate your thoughtful comments. I always enjoy hearing from you, as your words are full of grace. Yes, I tend to agree with D L Moody, too. That is the opposite of all the utopians around. Moody did not start the YMCA—it began in England. He did help launch it in Chicago. JW-I heard a lot about DL Moody at a large christian resort in Speculator, NY called "camp of the woods". My grandfather was one of the founding members in 1916. I heard from other sources that DL Moody had supernatual visitations in 1873 before God lunched him into his revival crusades. He had an experience similar to the apostle paul when he was taken up in the third heaven and saw things that he was forbidden to speak about. I did not know that Moody was the founder of the YMCA. Wow! have things changed. I tend to agree with his philosophy that the world will not get better but worse and God's Word tells us such is the case that we are to be with our thoughts on "above" and not lovers of this life. His faith and method are inspiring. I have never been the the Moody Church but I would like to visit there. allpurposeguru— You are quite welcome. You are surely correct that the story of D L Moody would and has filled entire books. Quite a few of my recent Hubs have been really long and I consciously tried to keep the last few pithy. Thank you for telling me about his school days. I had not read about that any place. I sincerely appreciate this visit. Your comments are excellent. RevLady— You are welcome. What a pleasure to hear from you again. You are one of my all time favorite writers on HubPages. I was unaware that his radio broadcast was honoring his life this month. Thank you for informing me of this. As you say, D L Moody lived and practiced what he preached. I appreciate this visitation and your fine comments. I hope we have some new "Moodys" in our time too, my friend. Your idea of writing about Charles Spurgeon is a good one. I'll see what I can put together. Thanks for the excellent suggestion. always exploring— You are quite welcome. I am glad you enjoyed this article. Thank you for your comments. God Bless You! Spreading the word to a hundred million people in those days was an amazing accomplishment in itself. Interesting biography of Mr. Moody. Thanks for this hub on a great man of God. Of course, it would be possible to write another just as long and not include any of the same details. I understand that as a school child, his teachers basically gave up on him learning anything. One person figured he might as well at least present Christ to this hopelessly dumb kid. I guess God showed them what *he* thought of Moody! Nice research, and well written. Thanks for sharing this wonderful and beautifully written hub about DL Moody, he was truly a faithful man of God . Great job my friend ! A great article on the life and works of a mighty man of God, who lived and practiced what he preached. His radio broadcast is honoring his life this month. Excellent hub voted up and awesome. Thank you for sharing some excerpts from the life of the greatly revered man of God. I always admire D. L. Moody, a true servant and disciple of Christ. Hope there will be new Moody's in our time.One thing remarkable about Moody is that he is one believer who is mightily filled with the Holy Spirit. Hope you will also publish the biography of Charles Haddon Spurgeon. Remain blessed always. Best regards. liftandsoar— You are welcome. Thank you for reading my work and voicing your approval of it. platinumOwl4— Hello! I thought it important to include the views of Reuben Torrey as a counterbalance. I am glad to see that you appreciated that. 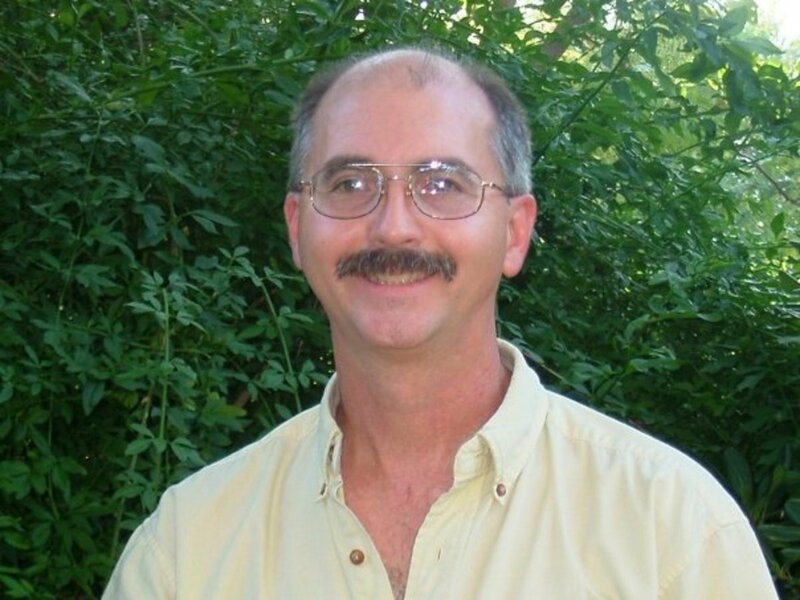 CMerritt— Thank you, Chris, for reading my Hub. I am glad you enjoyed it. I agree that D L Moody was prophetic. I appreciate your kind comments. This is a wonderful story about a man who believed in God. Thank you James. God bless. This was all new to me and well worth learning about. Thanks for another good lesson. I knew DL founded the YMCA but that girls School he founded, did that become what we now know to the the YWCA? just curious because I have no idea how that came about. Thanks James for a good read. Enjoyed reading it. 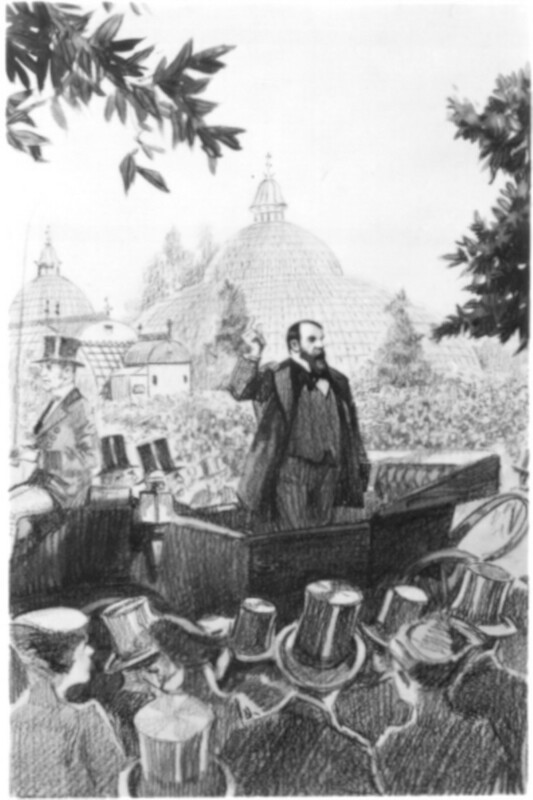 Thanks for sharing the story of DL Moody....great information throughout the hub....love the parts about hte funeral and how he dealt with errors...classic...too bad more people do not do that....voted up and awesome. tlpoague— You are quite welcome, my dear. 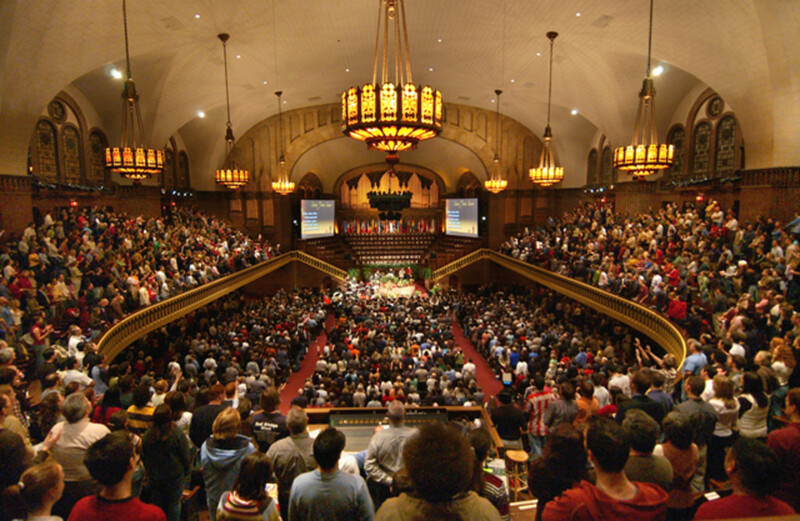 The Moody Bible Institute is thriving today and I agree with you that this is great news. Yes, today we could surely use more men of God like D L Moody. Thanks for reading and commenting! Thanks, James. Great info fairly presented. James A. Watkins, hello sir, and I must admit another find presentation. However, based on what I have read my preference is Reuben over D L, not taking anything away from D.L. I just believe in calling it out as did Cicero and you know the consequences of his action. However, at some point in life you must draw a line in the sand, and make a firm stand. I absolutely loved this. You have again done a great job. Is an easy read and has a way of attracting attention and provoking thought. I have learned something today as everyday and I thank you for this Hub. You have a way of making the reader want to know more. I have also bookmarked this one. Voted up,interesting, beautiful and FANTASTIC!!!! I have always heard of DL Moody, but never knew his story. I think he is prophetic with his "the world would grow worse and worse. "....as always James, I enjoyed this piece of work. What an enchanting story of a warrior for God. I think we need more preachers like him. That is terrific that his schools are still thriving today. Thanks for sharing this intesting bit of history! This is a wonderful review and chronicle of Mr. Moody's life. He certainly was a man on a mission. And that sunbeam on his face at the funeral was awesome. Thanks so much.